The Girl With The Spider Tattoo: Dial Kids Hand Soap and Dial Baby Body Wash Giveaway Ends 4/29/15! 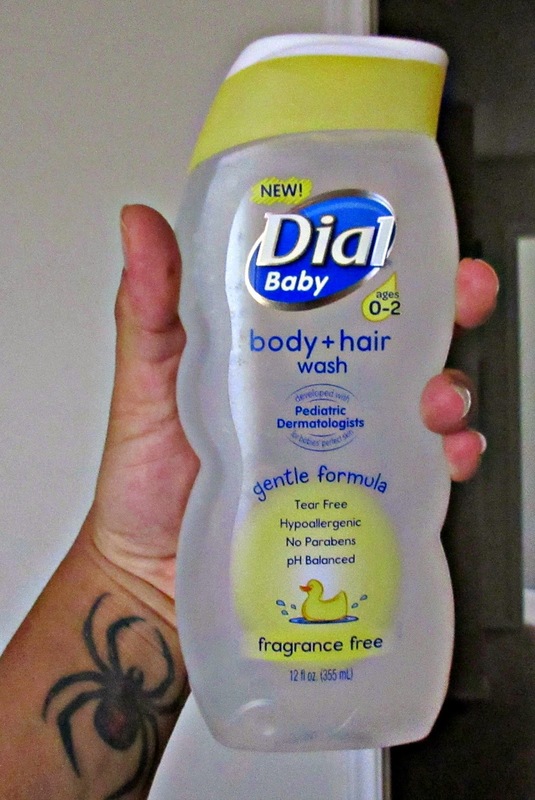 Dial Kids Hand Soap and Dial Baby Body Wash Giveaway Ends 4/29/15! My latest products that I received as a member of Purex Insiders are the Dial Kids Foaming Hand Wash and Dial Baby Body + Hair Wash. These are two products that are perfect for my household. My son is pretty good about washing his hands often, but he is a lot better at it when he has his own personal soap near the sink. 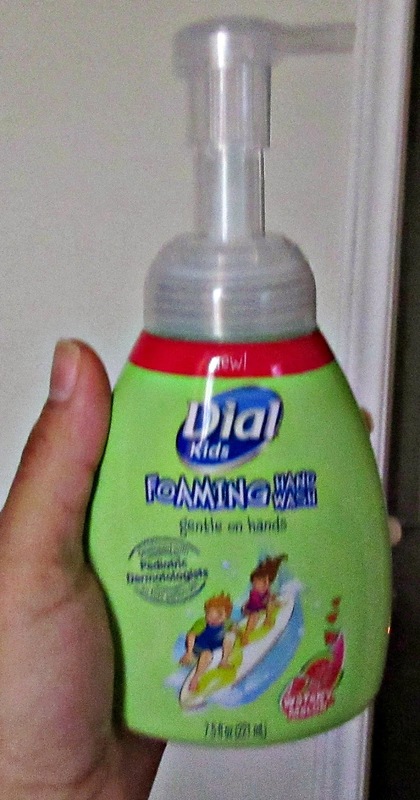 This particular Dial Kids Foaming Hand Wash is the Watery Melon scent and it smells great. The best things about this particular hand soap. It is a really gentle foaming hand wash. It was developed with Pediatric Dermatologists for kids, it's hypoallergenic, there are no artificial dyes or added parabens, and its also PH balanced. All of these things are great for kids or anyone with sensitive skin. It comes in a fun pump bottle with a cute label that's also appealing to kids, hopefully encouraging kids to wash their hands more frequently. It sure works with my son and he says his hands smell yummy after he uses it. This Dial Baby Body and Hair Wash soap, like the hand soap, was also developed with Pediatric Dermatologists, is a gentle formula, hypoallergenic, has no parabens, no artificial dyes, and is pH balanced. It is also tear free and fragrance free. I love the sound of all that for my baby. It says it's for 0-2 years, but I have also tried it on my self, because during this pregnancy, my skin has been more sensitive than usual. It is a really gentle formula and didn't cause any dryness or irritation on my own skin. I'm having another giveaway for TWO lucky winners! Now in order to win, you must be 18+ and reside in the U.S.
You can enter to win below in the Gleam Widget. Both winners will be contacted via email and will receive a coupon that can be used to redeem either ONE free Dial Baby Body + Hair Wash or ONE free Dial Kids Foaming Hand Wash.